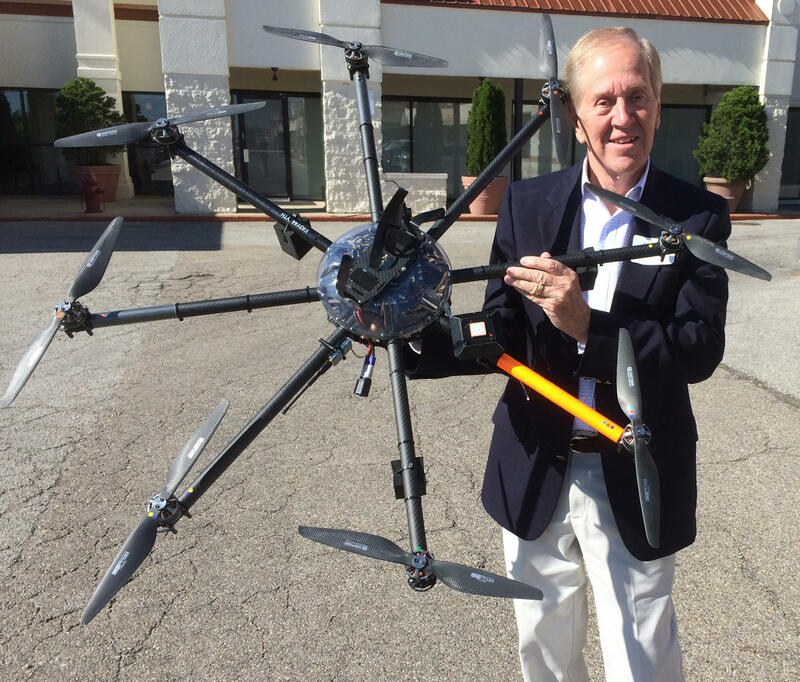 Bob Gerding with one of his drones used in filming the movie "Marauders"
Most recently, combining digital cameras with small, highly-maneuverable drones has allowed movie producers to capture scenes that would have been impossible, extremely expensive or too dangerous to film just a decade ago. Joining us to discuss how technology has changed the film and television industry are Bob Gerding, founder and CEO of the PPS Group video production company, and WVXU radio and TV reporter John Kiesewetter. PPS used drones to capture Cincinnati scenes for the Bruce Willis movie Marauders that filmed here last year. The movie is scheduled to be released July 1. To view the official trailer, and some of the drone footage, click here. To read John Kiesewetter's Media Beat blog, click here.